The lovely Sophie recommended this little gem to me and I cannot thank her enough! Unfortunately, I didn't have a big enough stomach to try the pancakes as well as everything else Emily and I ordered. 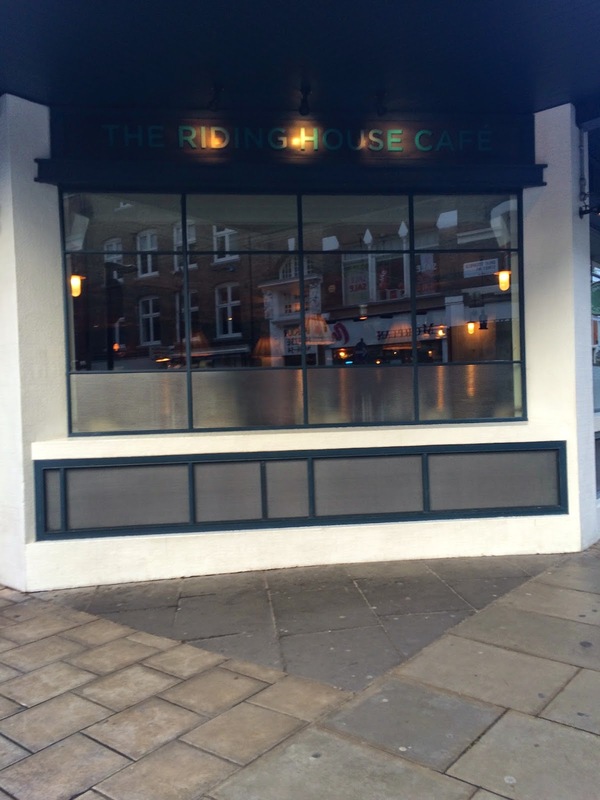 Having heard such good things from numerous people about The Riding House Cafe, we were very excited to arrive. We had an early morning reservation so meandered over and had the perfect setting for breakfast - fairly quiet and PLENTY of time to check out the lovely menu. Perfect for the indecisive who take ages to pick when a menu is good - and also trying to avoid food envy from the surrounding tables! I absolutely love the bare brick, the shared tables and the general feel of the place. 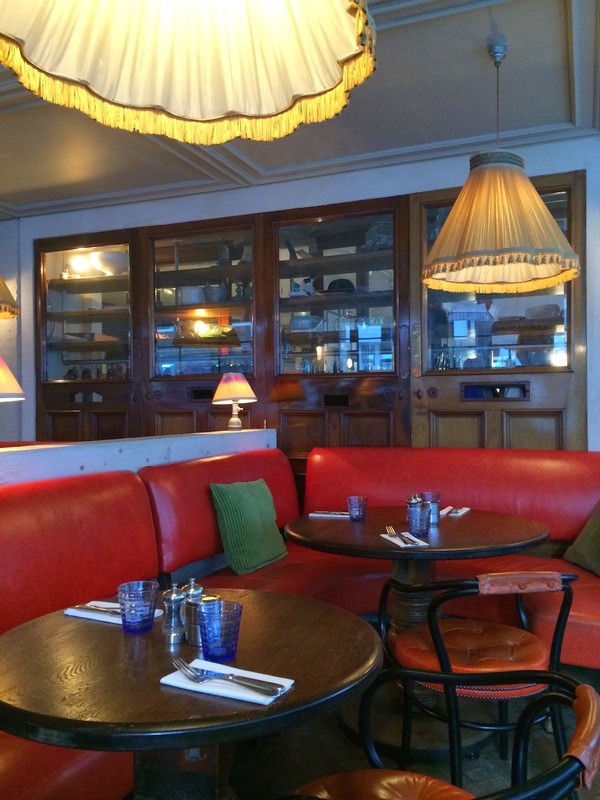 We were seated in the private tables to the left, with our table lit by the huge lightshades above us - transporting me back to my childhood and the similar one my grandparents had in their living room! We were given the menus - excited and completely undecided about which way to turn! One thing for certain - two PB&J smoothies. Peanut butter (always! ), banana, strawberry and apple juice smoothies. 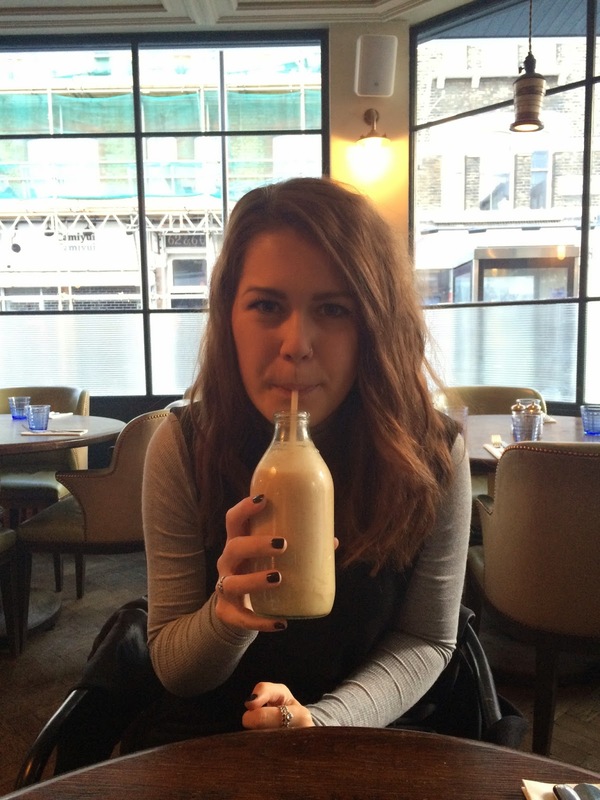 Too good to resist and our favourite things all in one drink! 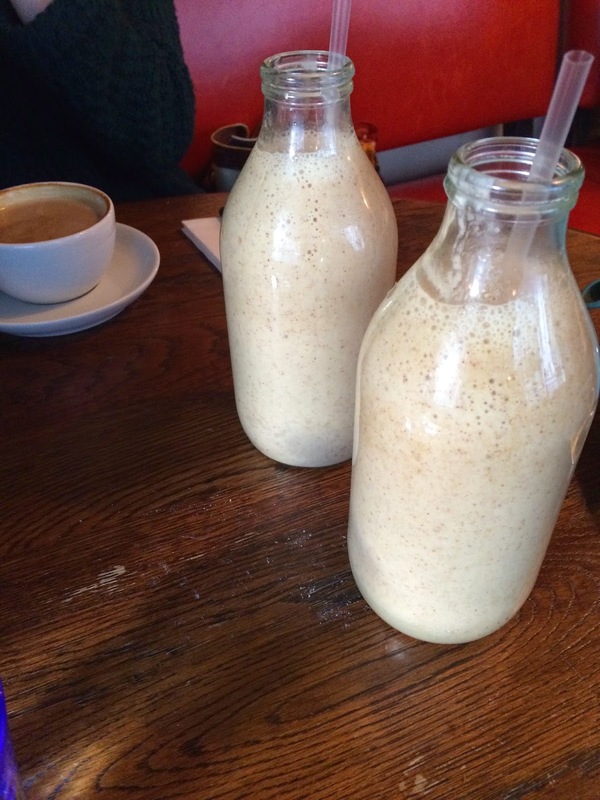 Served up in milk bottles, a brilliant touch, and absolutely delicious! I decided on chorizo hash, poached eggs with a sautéed mushroom and raw spinach. We had the nicest bircher muesli, to share. And Ems decided on the veggie breakfast - scrambled egg, grilled tomato, halloumi, quinoa, tomato, wilted spinach and baked beans. The food was SO good. And, despite the crazy amount of food we ordered - we were little troopers and devoured it all! Reasons I love Emily - food buddy always! Can always rely on her to be as excited about food as me. I would 100% recommend a trip to the Riding House Cafe. 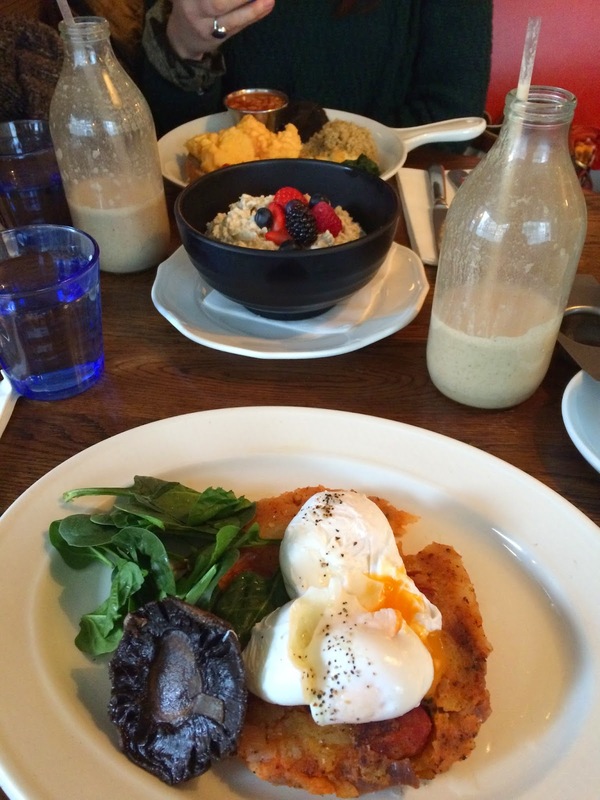 Beautiful breakfast, lovely staff, a great location and an ideal setting for a relaxed breakfast but not lacking in atmosphere!